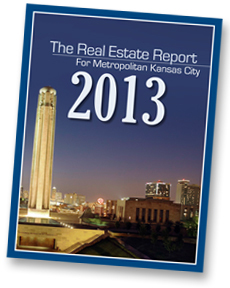 Every year, Block Real Estate Services releases a comprehensive report that sheds light on trends in the Kansas City Commercial Real Estate sector. This next year, BRES is excited to present the 2013 Market Report with even more rich content that will give the industry a leg up on the year. Kansas City is now ranked second on the “10 Cities To Watch” for contemporary design, ranked first for the best mid-sized airport in the country, and fourteenth for the lowest cost of air travel. Kansas City also ranks in the top five in Kiplinger’s list of “50 Smart Places To Live” based upon its 15 institutions of higher education in the Metropolitan which offer graduate degrees. At year-end 2011, the UMKC Bloch School of Management was named the world’s top academic site for innovative management research, beating other great universities such as Harvard, MIT,and Stanford. This incredible honor should spotlight Kansas City as the educational hub for future entrepreneurs. Get the insight first and sign up to get the 2013 BRES Market Report before it hits the press in mid-January. Day 12: The KC Market Report: Happy Holidays! 12 Days Of Market Report Begins! To Lease or to Build?